Instantly downloadable sheet music (Musiknoten zum herunterladen und ausdrucken) von Rod Temperton for choir and piano (SATB) of MEDIUM skill level. Instantly downloadable sheet music (Musiknoten zum herunterladen und ausdrucken) von Richard Hughes for choir and piano (SATB) of MEDIUM skill level. Instantly downloadable sheet music (Musiknoten zum herunterladen und ausdrucken) von Richie Sambora for choir and piano (SATB) of MEDIUM skill level. Instantly downloadable sheet music (Musiknoten zum herunterladen und ausdrucken) von Philip Lawson for choir and piano (SATB) of MEDIUM skill level. Instantly downloadable sheet music (Musiknoten zum herunterladen und ausdrucken) von Quincy Jones for choir and piano (SATB) of MEDIUM skill level. 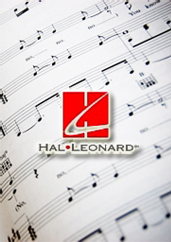 Instantly downloadable sheet music (Musiknoten zum herunterladen und ausdrucken) von Randy Newman for choir and piano (SATB) of MEDIUM skill level. Instantly downloadable sheet music (Musiknoten zum herunterladen und ausdrucken) von Paul Williams for choir and piano (SATB) of MEDIUM skill level. Instantly downloadable sheet music (Musiknoten zum herunterladen und ausdrucken) von Nicky Ryan for choir and piano (SATB) of MEDIUM skill level.